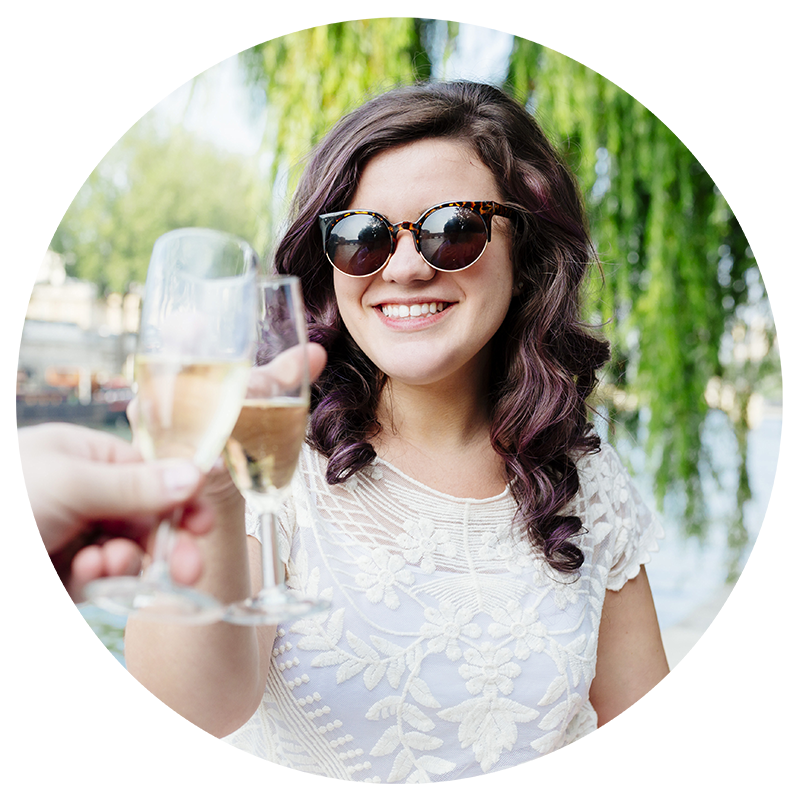 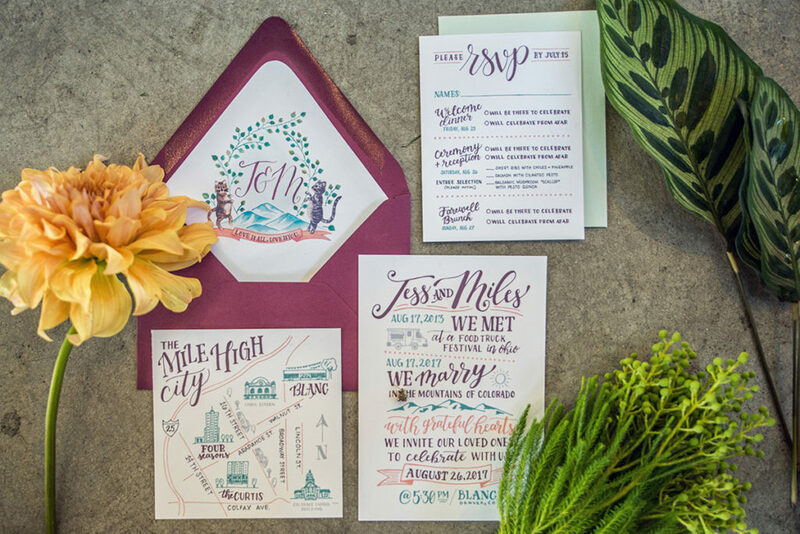 I had the pleasure of working with Jess & Miles from their quirky Wedding Crest Save the Dates all the way through to their fun-loving day of details and it was an absolute blast! 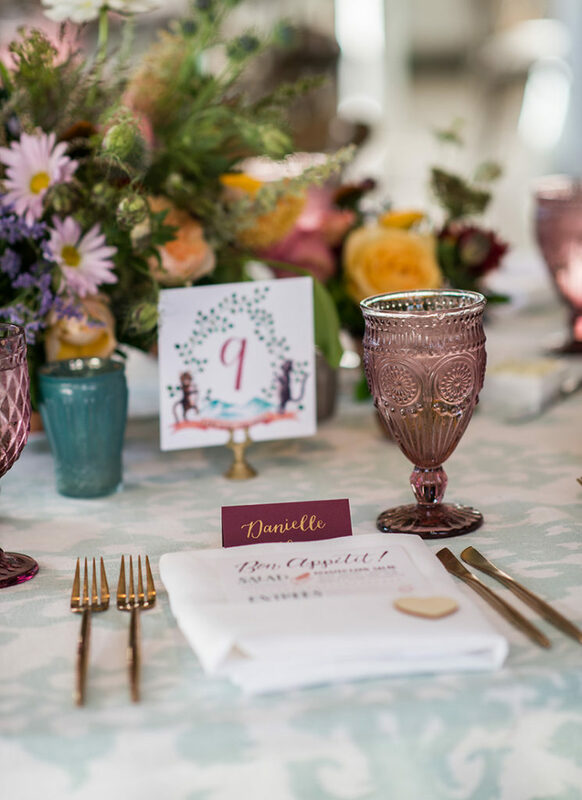 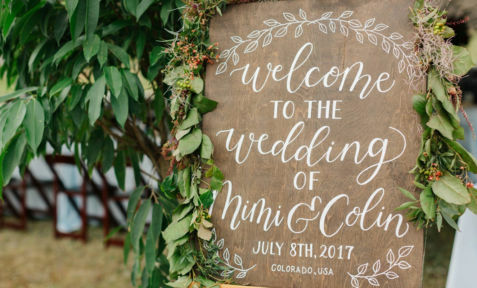 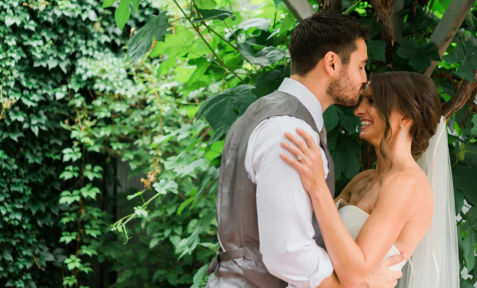 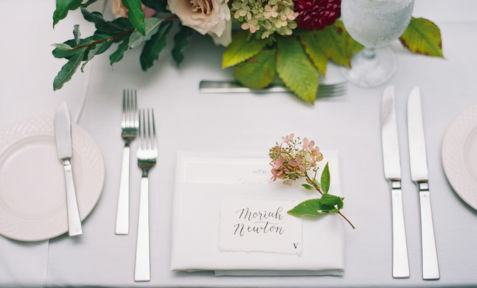 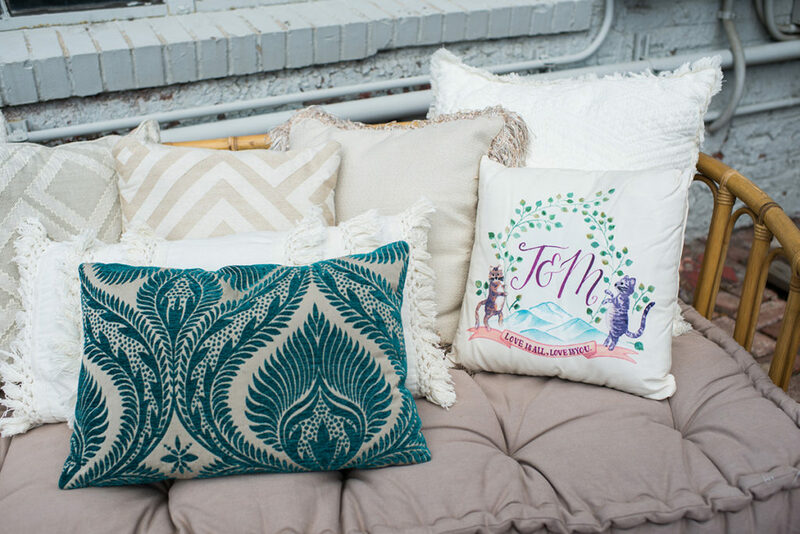 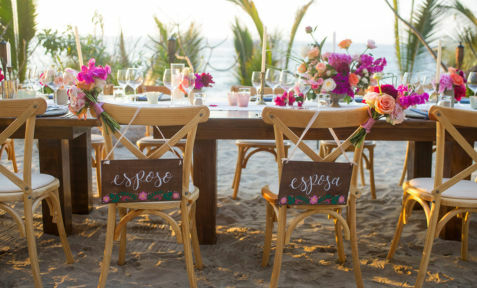 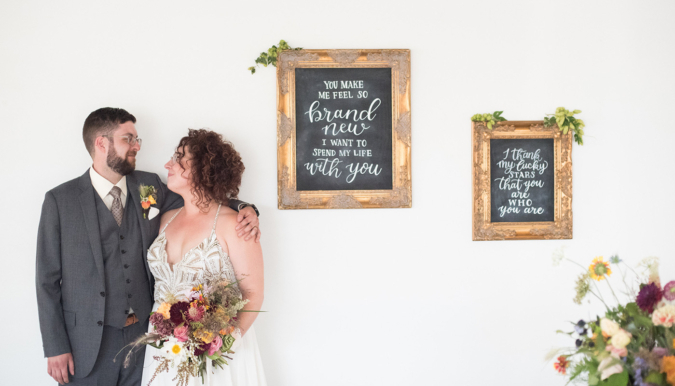 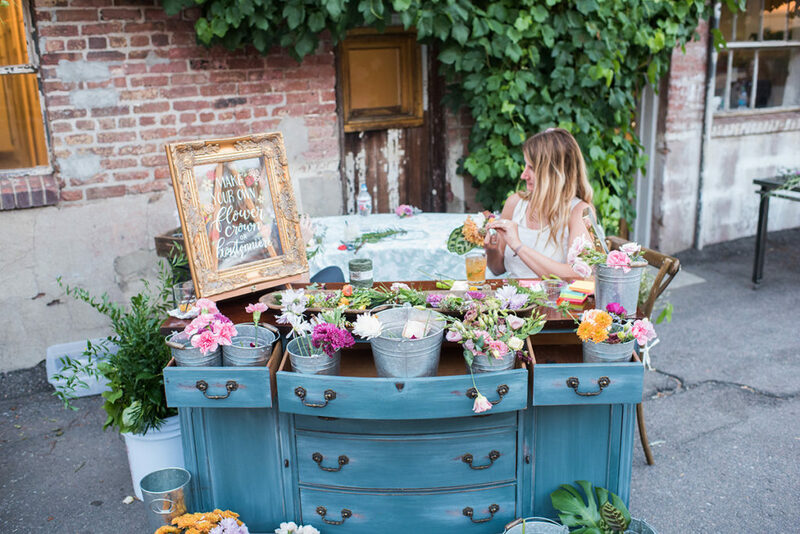 These two love birds really took advantage of all things custom – incorporating their unique love story and personality into all of their designed details. 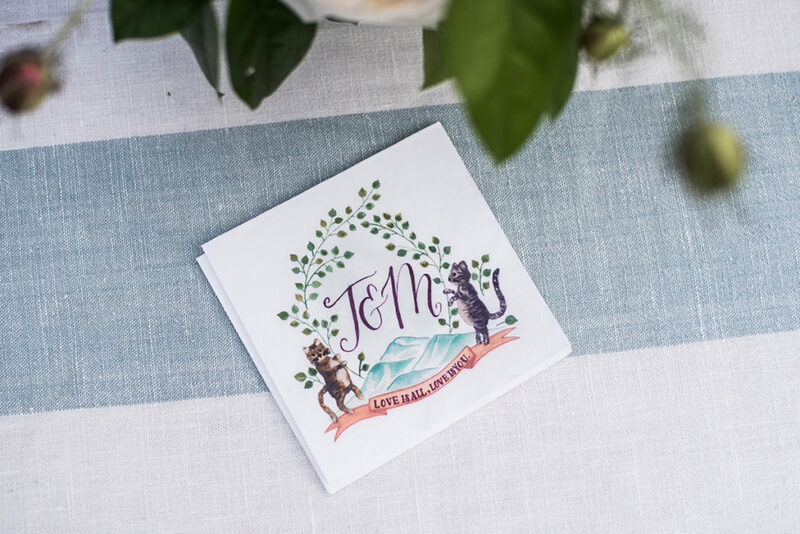 We started with a truly custom watercolor crest, carefully including their two beloved cats into the design! 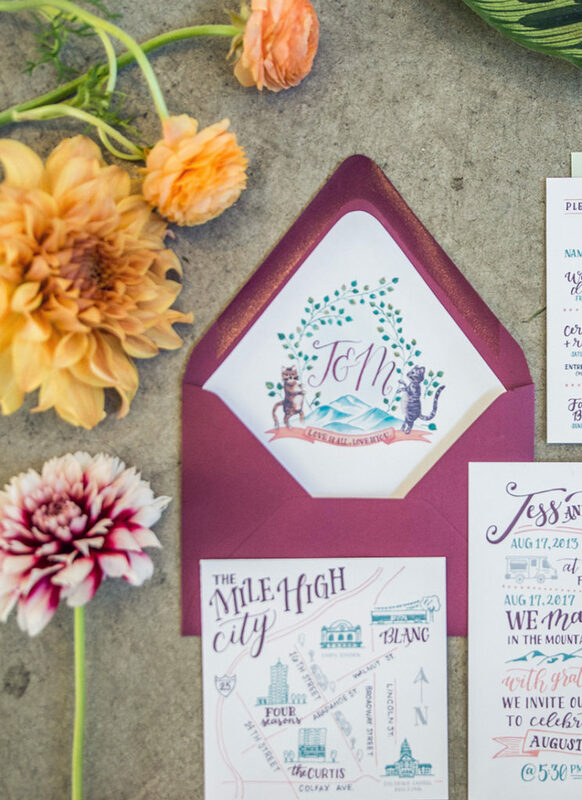 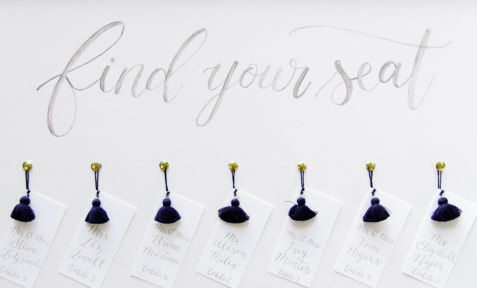 For their stationery we hand lettered everything and included little illustration elements where appropriate. 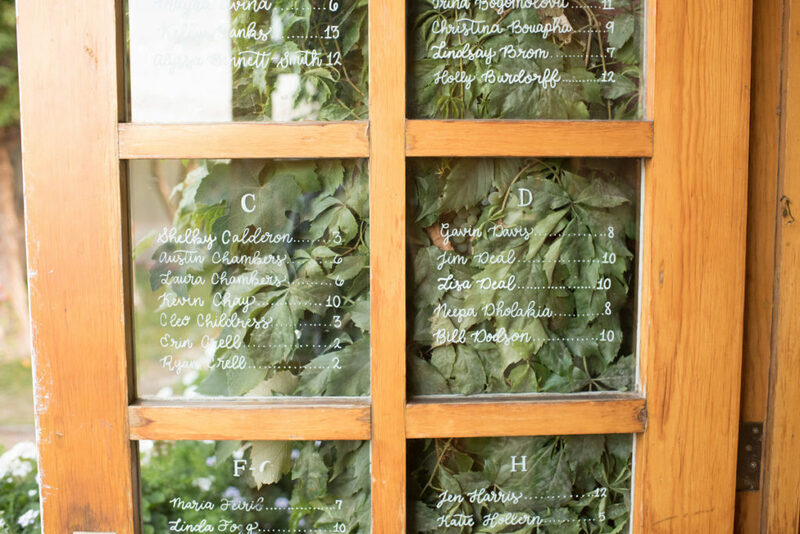 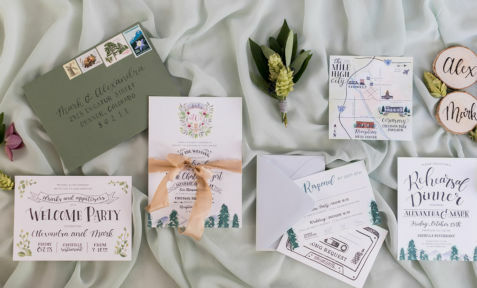 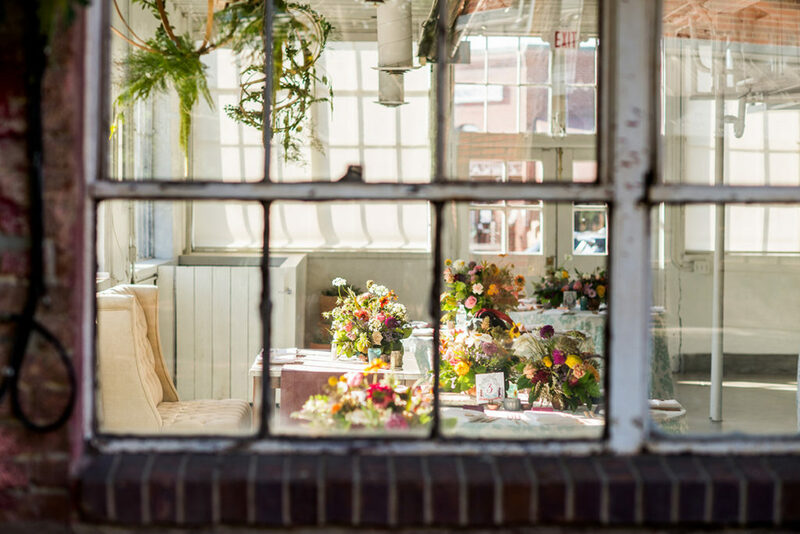 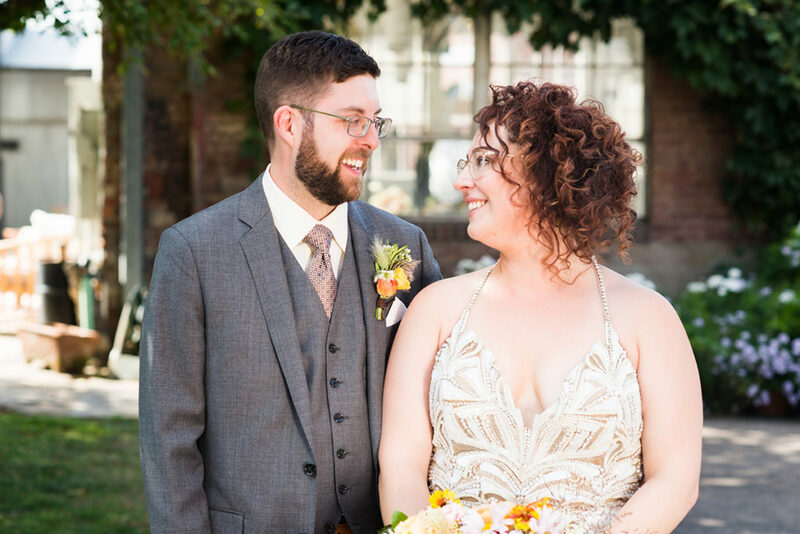 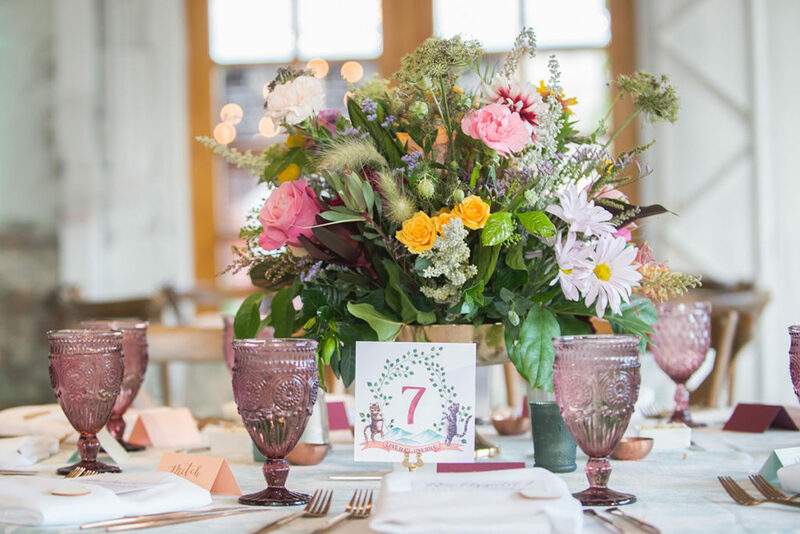 Their invitations were truly one of a kind – outlining their love story from the day they met to their private elopement and finally inviting family and friends to a more public ceremony and, of course, a party to celebrate! 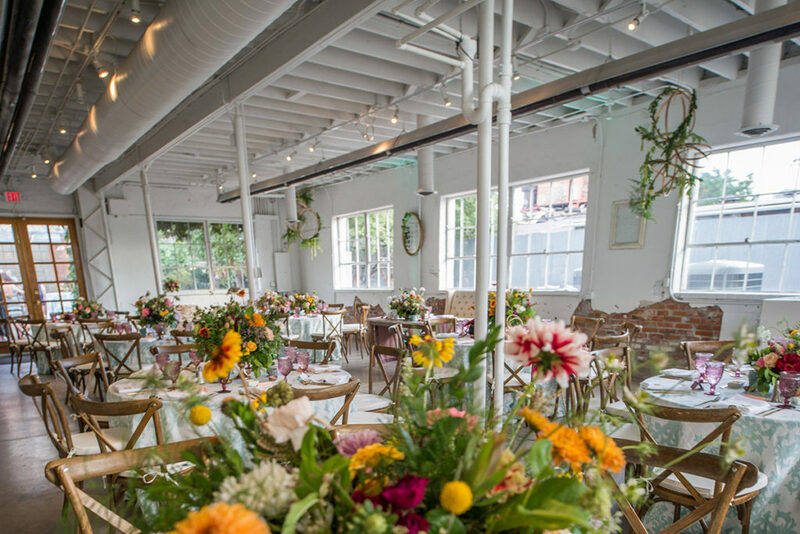 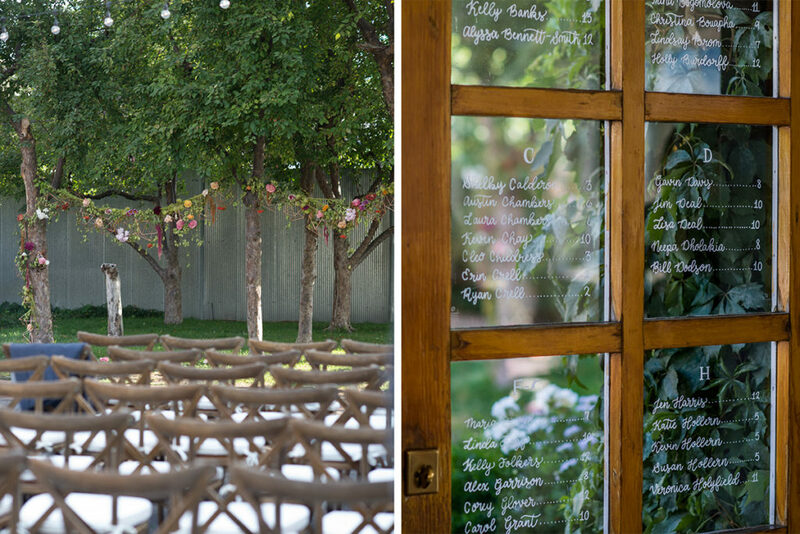 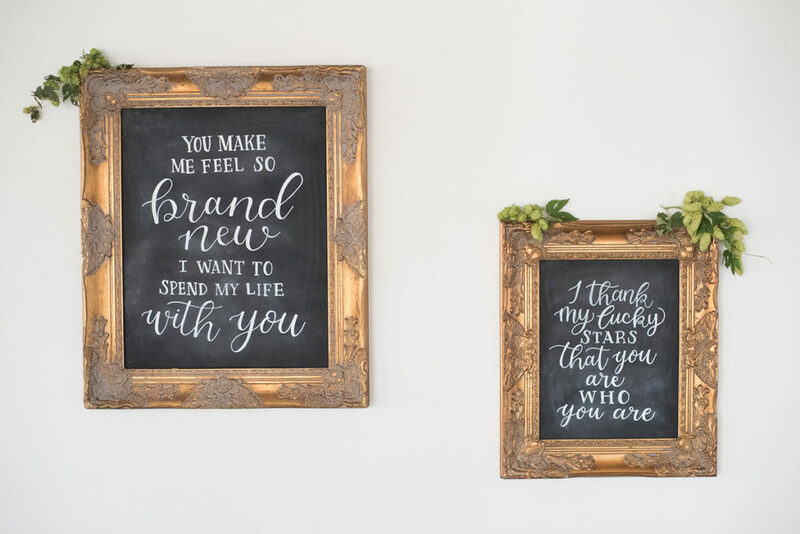 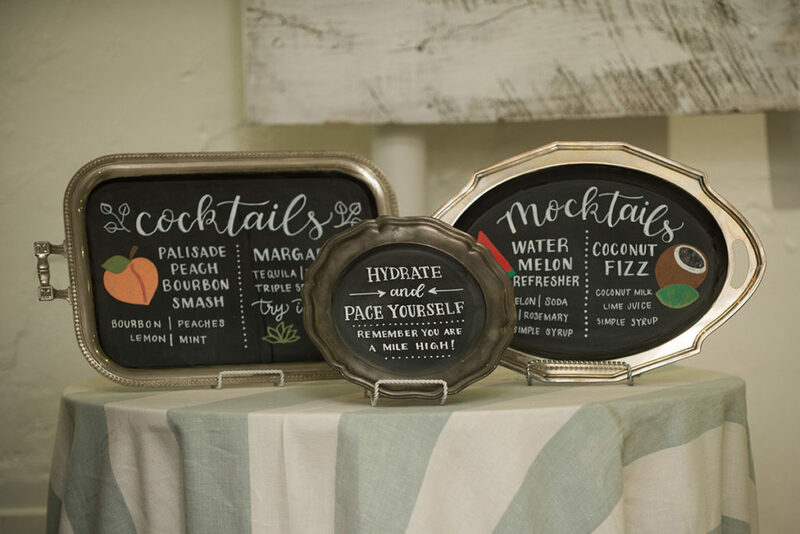 For their wedding day celebration we loaded up on signage – using some of their favorite song lyrics as reception decor. 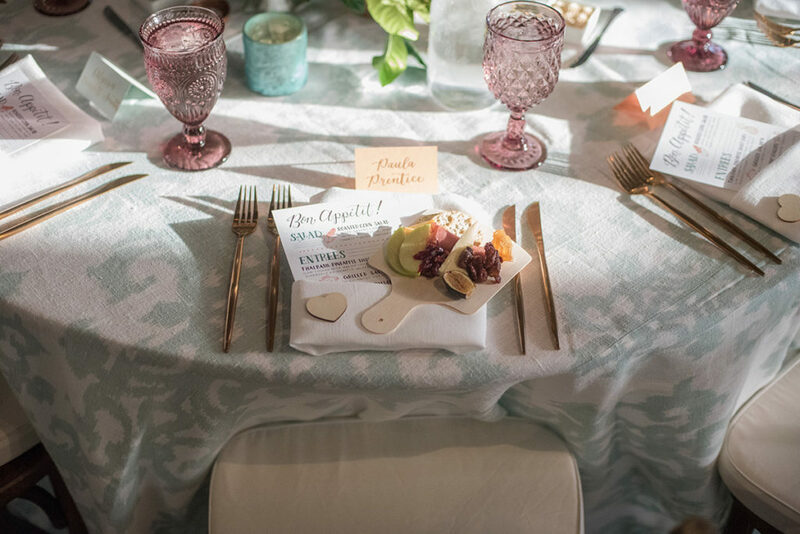 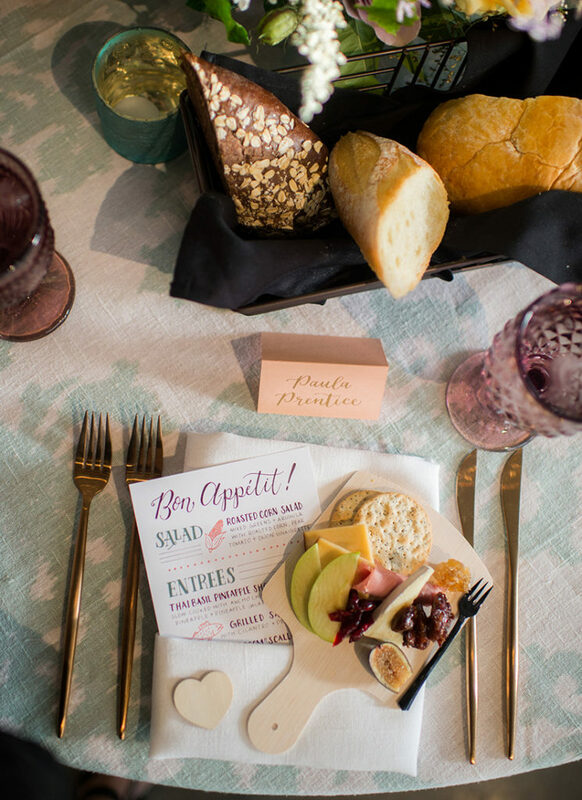 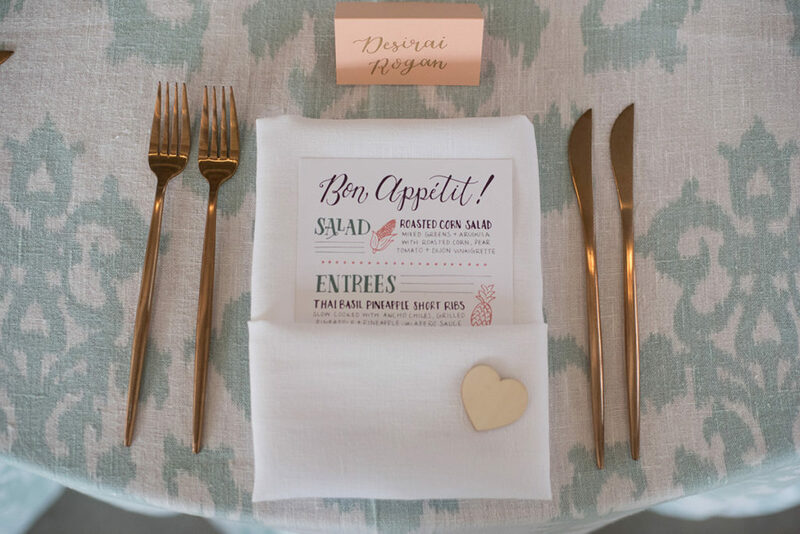 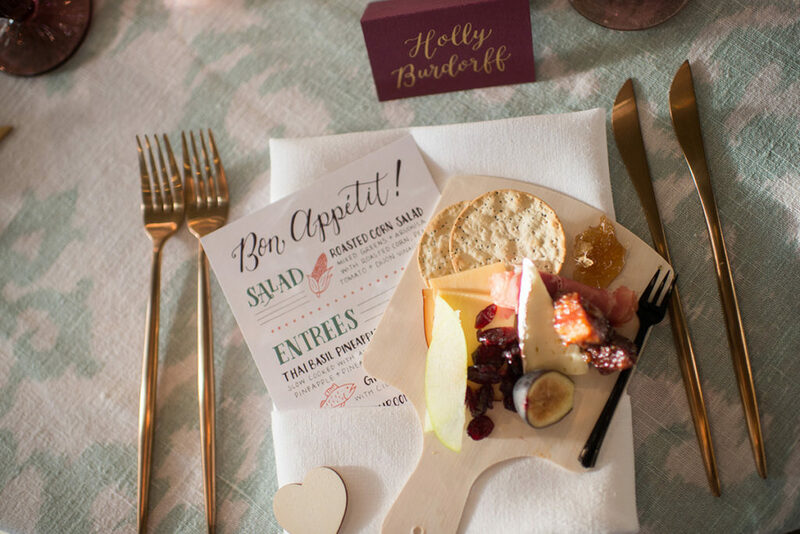 Their reception menus coordinated with their other paper goods, with quirky illustrations for the different dinner selections. 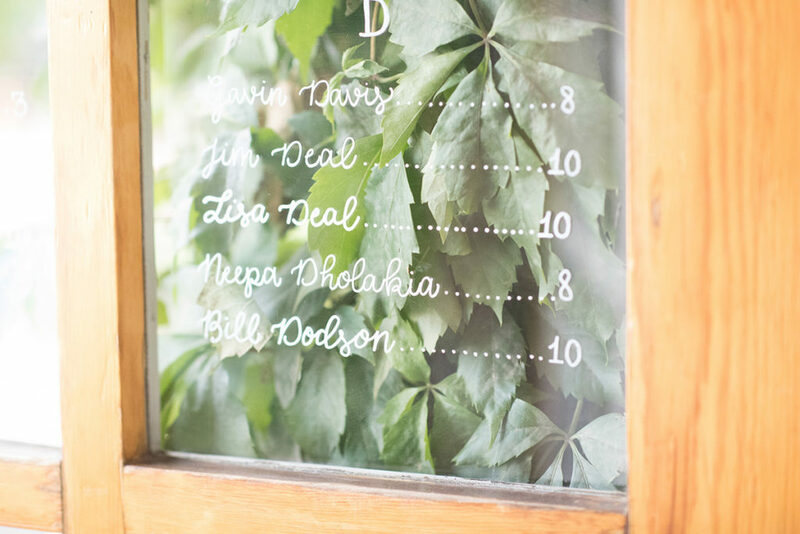 I loved incorporating their custom wedding crest throughout their reception – on table numbers, cocktail napkins, and – my personal favorite – pillows!